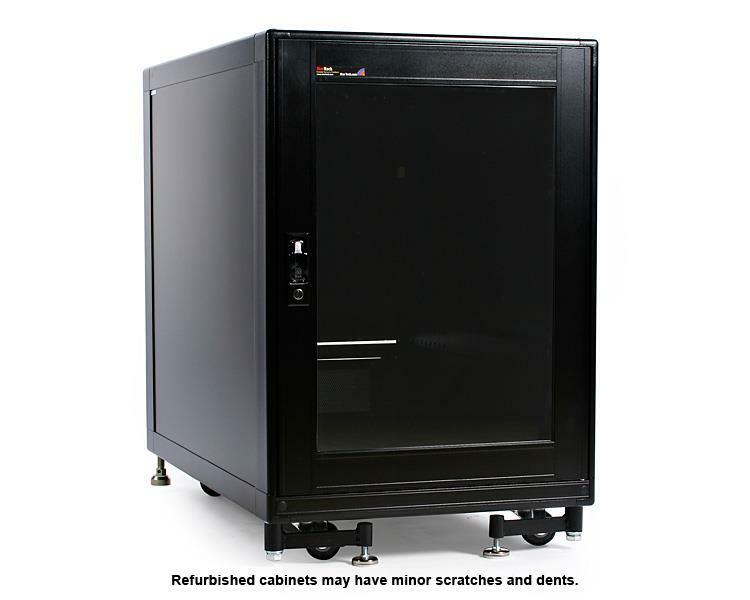 This Refurbished 15U, 36 in (depth) cabinet features a plexiglass front door, full steel design, and three-fan filtered ventilation helping to keep your servers and other critical equipment cool and protected. The server equipment cabinet/rack is black, making an attractive addition to your server room, and to ensure maximum versatility, the rack/cabinet includes casters, making it easier to position server equipment as needed. Every refurbished server rack includes complete mounting hardware and accessories as intended with the original (non-refurbished) product, and are provided in the original packaging. 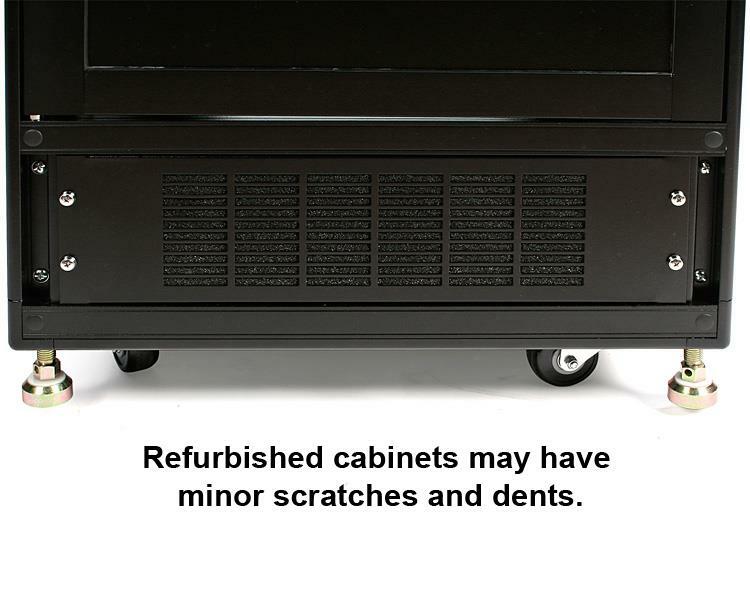 Refurbished units may have small scratches in the paint on the metal casing, but all other components are as new. Backed by a 90-day replacement warranty,.